Traditionally, most ecommerce websites use SSL encryption technology to protect a shopper’s personal information during the checkout process. While the checkout process is secure, all other traffic to the ecommerce website uses the old, insecure HTTP protocol. This has been the common practice for about twenty years. Today, we’re pushing for a safer, more secure internet by ensuring all pages, content, data…everything, on all 200,000+ online stores powered by Shopify can be accessed using SSL encryption. Not only will this ensure that no data could be intercepted as it goes over the network, but it will also help merchants build customer trust. This is the right thing for ecommerce in 2016. To make this possible, we’ve issued and set up SSL certificates for every Shopify store. And because we feel this is important, we did it at no additional cost to existing or future Shopify merchants. You can now easily encrypt your online store by clicking “Activate SSL certificates” in your Shopify account. Once activated, all your traffic will be redirected from HTTP to encrypted HTTPS. When a shopper visits your store for the first time, they look for cues that tell them it’s safe to buy from you. The most powerful indicator that they can trust you is the padlock icon that appears when your online store is fully encrypted, and they look for it whether they’re on your checkout or not. But your customers aren’t the only ones looking for that padlock. Google looks for it, too. In fact, they’ve made it clear that encrypting your website is good for SEO and could lead to a boost in your search position. You can read more about how Google handles encrypted websites here. 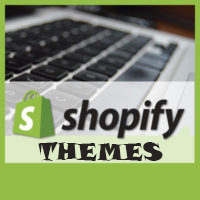 What if I don’t use Shopify for ecommerce? We feel very strongly that the unsecured HTTP should no longer be used for any ecommerce traffic, whether you use Shopify or not. So we’re joining Facebook, Mozilla, and Google to sponsor Let’s Encrypt, an initiative that pushes for this new standard on all websites. If you aren’t on Shopify, but you would like to use SSL encryption on all pages of your website, read more here. How can I encrypt my Shopify store? Buying and setting up SSL certificates used to be expensive and tedious. That’s why we’ve done it for you, and made it completely free. With just a few clicks, you can fully encrypt your Shopify store, improving your store’s security, increasing customer trust, and boosting your SEO. One issue, however, is that I couldn’t connect my Shopify POS app to the conference wifi since it was seen as not secured. HUGE issue…couldn’t use the POS app and credit card reader. Left me dead in the water at the event. What’s the work around?